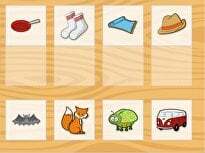 In this phonics worksheet your child will need to find all of the pictures that rhyme with the word “socks”. After finding the images, he will then need to color them in. Does the word “socks” rhyme with “clocks”? 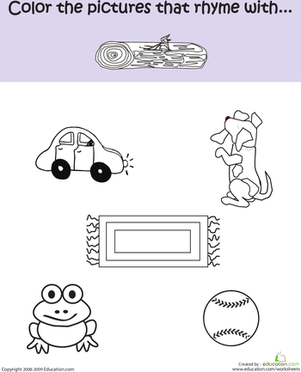 Have your child say what each picture is out loud to decide if it is a rhyming word. 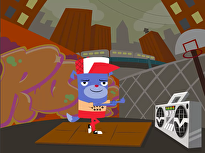 Through completing this activity your child will gain practice rhyming words, and strengthen his reading skills. 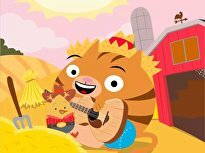 The classic song "Down by the Bay" provides a wonderful example for children learning the letters X, V and F. Not only will children be given the opportunity to identify these letters, but also understand the sounds that they make within the context of a familiar story. 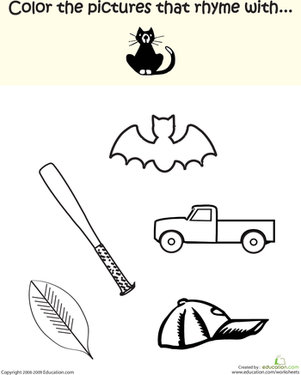 This fun guided narrative is accompanied by printables that can help keep the learning going. 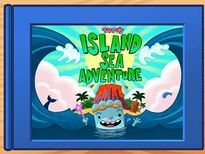 The classic song "Down by the Bay" provides a wonderful example for children learning the letters X, V and F.
Help your child improve his reading with this printable phonics worksheet, which is all about matching words that rhyme to "log". 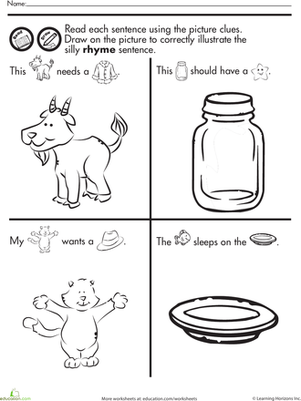 Here's a worksheet that makes rhyming fun! 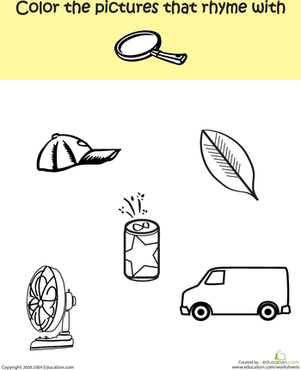 Kids read silly rhymes, then use the picture clues to draw in what's missing. 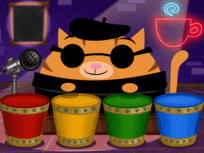 Boost phonics learning with this rhyme and color worksheet. Kids say all the picture names, then circle different pictures that rhyme with each other. Get your kindergartener up to speed with his reading skills with this printable phonics worksheet that's all about rhyming. 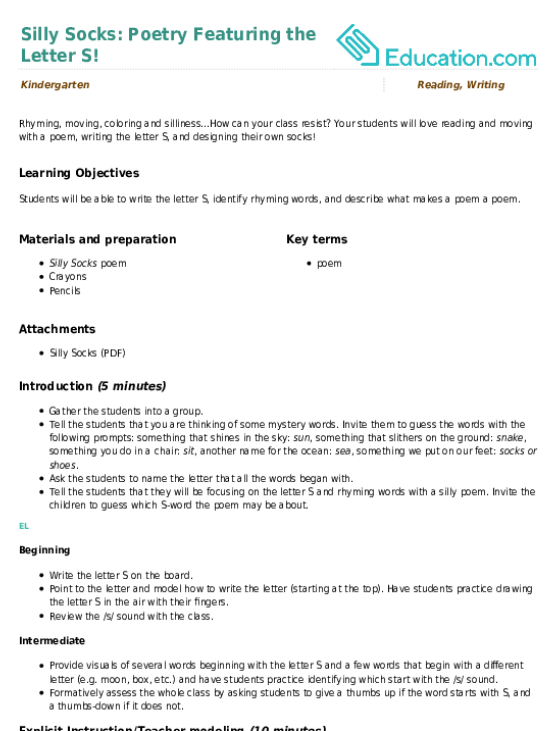 Searching for a phonics worksheet that can help your child with his reading skills? 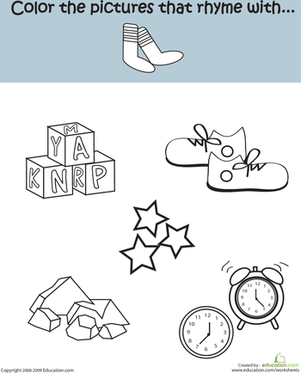 This kindergarten printable will help him through rhyme. Searching for a phonics worksheet that can help your child with his reading skills? 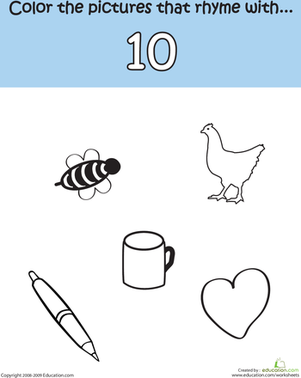 This printable will help him by rhyming to the word "ten". 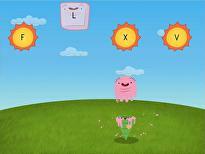 Looking for a phonics worksheet that can help your child with his reading skills? 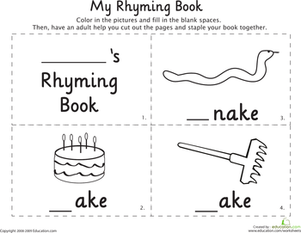 This printable will help him to create a rhyming booklet! 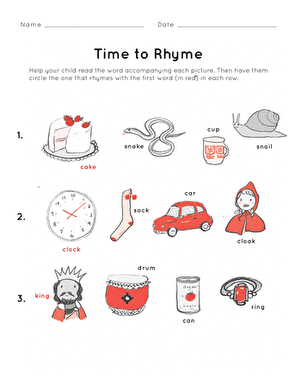 Help your child improve his reading with this printable phonics worksheet, which is all about matching words that rhyme to "pan". Silly Socks: Poetry Featuring the Letter S! Your students will love reading and moving with a poem, writing the letter S, and designing their own socks! Does train rhyme with plane or goat? 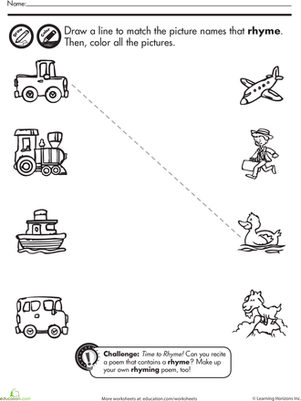 Let your child decide as he completes this simple matching worksheet. 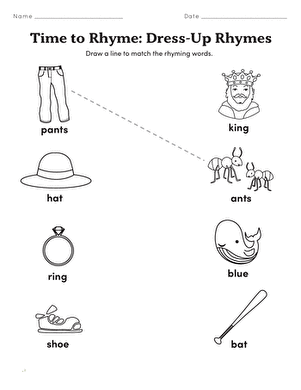 Help your beginning readers practice phonics and expand their reading vocabulary with this rhyme match worksheet. 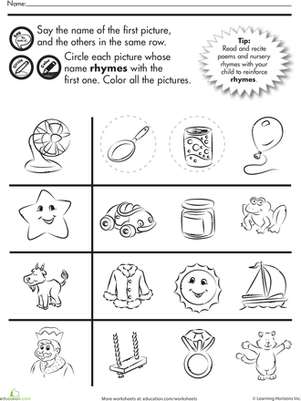 With a cute dress-up theme, this worksheet keeps kids entertained as they practice sounding out words and making rhymes.